Great success of Nagoya Women's Marathon 2014! "Marathon Festival Nagoya - Aichi 2014" was held from 7th to 9th of March. As a gold sponsor, Nippon Menard Cosmetic carried out the booth exhibition in Nagoya Dome during the period, and heaped up this event. The number of visitors to the event was 112,976, exceeded that of previous year by 1,100 persons. 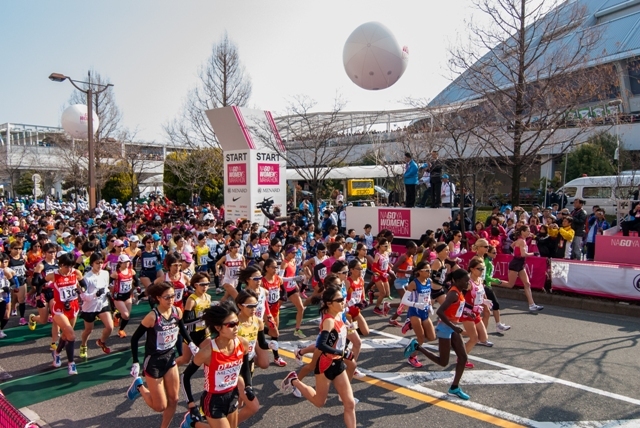 Moreover, 14,675 runners participated in 'Nagoya Women's Marathon 2014'. It exceeded the number of runners in last year by 121, and renewed the Guinness World Record on a scale of a female marathon.